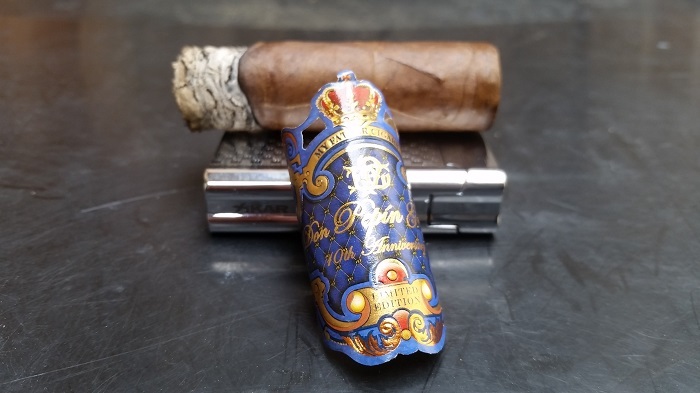 The Don Pepin Garcia 10th Anniversary in Toro has a rich and aromatic Colorado Maduro shade wrapper. Even with almost four years of age (from release), the wrapper has a good amount of oil content, leaving traces of slick oiliness on the fingertips. Seams are tight and veins are for the most part well pressed. The head is finished off with a well adhered triple cap. Nosing the wrapper tells pungent barnyard and flowers. Nosing the foot gives sharp cedar, black pepper and dry nuts. Cold draw reveals aged cedar and sharp black pepper. First third creates, to my surprise (or perhaps not due to the aged state of the cigar), a balanced mixture of dry nuts, creamy bread, aged cedar and soft black pepper spice. The familiar and classic Pepin style of pepper blast comes through on the retrohale, providing sharp black pepper and cedar. The finish is fairly short with lingering notes of soft black pepper and dry wood. Strength and body is medium within the entire first third. Similar flavors are captured within the second third, with some notes spiking. The profile is still centered around dry nuts and creamy bread. The cedar is no longer smooth and aged. Instead, it is closer to a sharp cedar. The black pepper spice is also sharper, weighing especially on the tongue and rear palate. The retrohale remains unchanged, still giving strong black pepper and cedar. The finish is still relatively short, with lingering notes of soft black pepper and dry wood. Strength bumps up to almost medium-full, while body stays at the medium mark. The last third shows a continuation of the black pepper intensifying. While it is never a dominating factor, it’s interesting that the spice increases as the cigar continues. Other notes of creamy bread, cedar and dry nuts still remain. The profile becomes more earthy, with new notes of fine dirt and wood bitterness. The retrohale is still strong with black pepper and cedar. The finish now consists of wood bitterness, dry wood and black pepper lingering longer on the palate. Strength increases to a consistent medium-full towards the second half of the last third, while body maintains its medium level. The burn was overall very good. Slow and cool burn with total smoking time of 3 hours and 10 minutes. Ashes held on fairly tight, averaging 1.5 inch self tapped marks. The burn, although wavy at times, was of no real concern, as there was never a need to use my lighter. The draw was perfect. Cutting the cigar towards the last cap yielded the ideal draw being not too tight nor too loose. 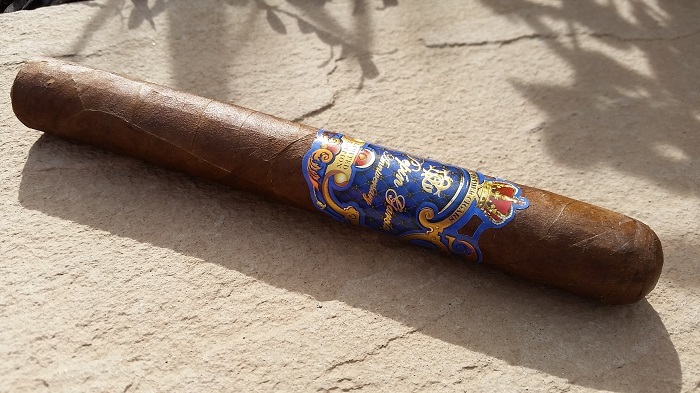 The only other time I smoked this cigar was upon initial release around August 2013. Back then, the cigar was fairly muted and not worth smoking. Fast forward to this review roughly 3.5 years later, I certainly had higher hopes this time around. I can say the cigar has aged quite well. I enjoyed the overall profile, especially with the spice transitions keeping me engaged the entire, long 3 hours. While I did enjoy the cigar, it isn’t prime time yet. 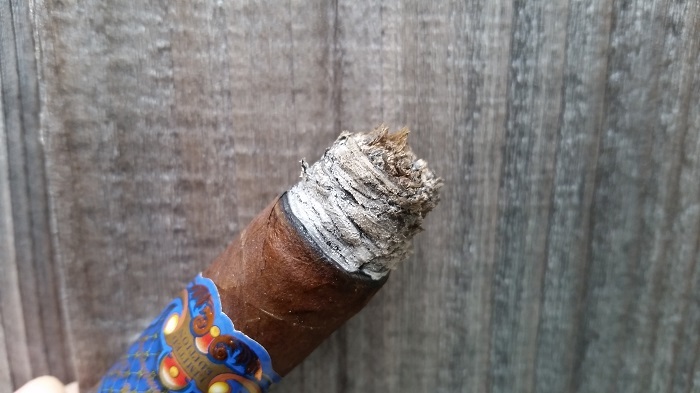 I think the cigar has a lot more legs left, and aging for another few years won’t hurt, and hopefully will improve it. 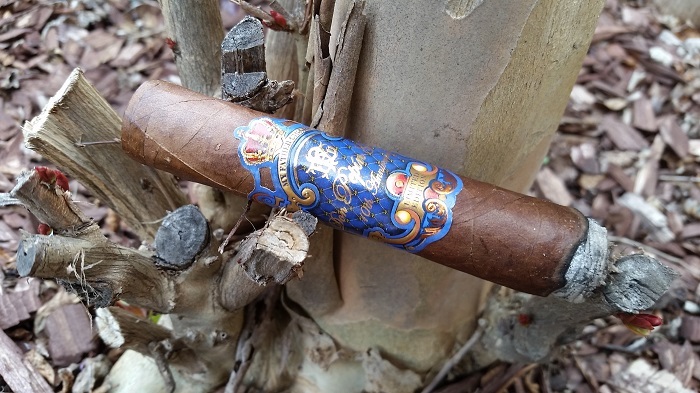 Nonetheless, at this age, still a fine example of a well made cigar worthy of Pepin’s great name. 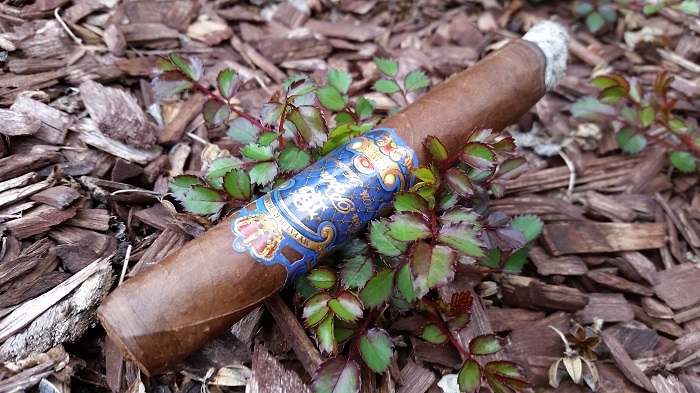 Side note: Roughly 3 years ago, I smoked a Don Pepin Blue Generosos my friend gifted me with about 6 or 7 years of age on it. 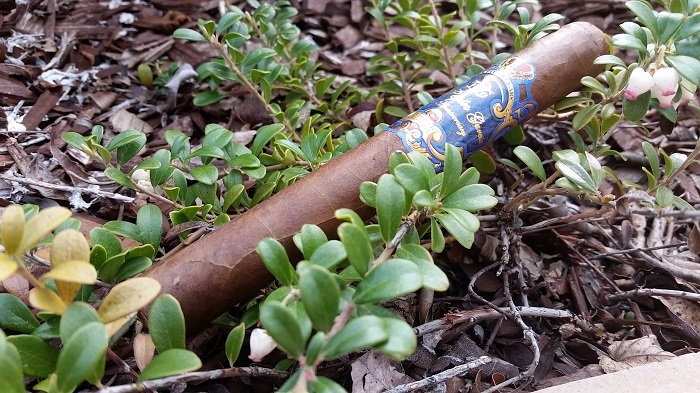 Til this day, it was one of the best cigars I have had, with distinctive and full flavored notes of hazelnuts, cream, and well balanced spice. In a way, I am really hoping the 10th anniversary will smoke like that one day.